Much like Liam Neeson’s character, Bryan Mills, from the movie Taken, I, too, have a very particular set of skills. But, instead of being a kickass former CIA operative who wields a gun (although I am a good markswoman in my own right), my professional skills fall within the realm of researching, writing, and editing content. But not all content is the same. As a Copywriter and Content Manager at Bluleadz, my job varies from day to day depending on the needs of each client. Sometimes clients want daily or weekly blog posts; other times, I find myself writing premium content for tip sheets, whitepapers, or even eBooks. In between projects, I try to stay up to date with recent industry-related news, research short- and long-tail keywords for inclusion in website and blog content, and try to come up with new content ideas or fresh takes on old successful content. Balancing these tasks, along with trying to learn about clients whose businesses span a range of industries and service types, can be a challenge. This is particularly the case when I’m also trying to get up-to-speed when taking on new clients. I’ve put together a list of the things that help me stay on track each day as a copywriter, particularly when I am starting to write for new clients. As someone with a background in journalism and academia, taking the time to properly research and learn about my clients, their specializations, and their general industries is paramount to writing successful content. But, how do I define successful content? That depends on the goal I am trying to accomplish with the content. Successful content is that which helps you to accomplish whichever goal you aim to achieve. If you’re accustomed to writing for clients in manufacturing, then starting to write for a new client in the healthcare or finance industry would likely be a very different experience. This means that you need to take the time to sit down and focus on researching and learning about different facets of the industry. While this should go without saying, I think it’s still important to mention because some people think they can easily start writing content based on general industry knowledge alone. However, to truly create content that provides value, you need to be more specific in your approach and include information that is specific to your client. What is it that they do that sets them apart from other businesses like them? Why should your audience believe they are industry experts? And, most importantly, why should they trust your client? The content you create should be able to answer these questions by demonstrating that knowledge, expertise, and experience through the content you write for them. While it is impossible for you to learn and know everything about every client in every industry, this is where your client can help. Within their business or organization, they are likely to have subject matter experts (SMEs) that you can speak with to learn more about a particular subject or process within their business. Get to know those SMEs; develop a working relationship so that you can feel comfortable reaching out to them with questions when writing in-depth, technical content pieces in the future. Don’t be afraid to seek information; it is better to get the right information straight from the horse’s mouth than assume you know everything and constantly write the wrong information that will need to be corrected later on. It’s not only important to learn about your clients’ industries, products, and services, it’s also important to learn about their competitors as well. What is it that your client does that is similar or different? This can be an important selling point or niche focus you can bring to your content creation process. As content creators in inbound marketing, buyer personas are integral to our jobs. They’re the personified target audience that we’re trying to appeal to with every word we choose to write. Personas help you to understand not only who and where your followers are — it helps them to understand why they may be interested in you as a prospective customer. If you haven’t created personas for your client, then that is something that needs to be addressed right away. Personas are primarily based on your client’s own data they’ve culled through analysis of site visitors, current customers, and past customers. Your buyer personas can be used throughout your entire marketing efforts, from prospecting to social media marketing on Instagram and more. Possible objections the prospective customer may have to your client, their products or services. I cannot stress the importance of this step enough. Take the time to research and put together a list of resources you can refer to for quick information. This can (and will) save you a lot of time in the long run when you’re sitting down to write the next piece of content. Industry-related research (whitepapers, guides, eBooks, etc.) from professional organizations within your client’s industry or marketing firms. It is great to have this information readily available for reference. However, the caveat is that this information must be relevant, meaning that it is still timely and representative of your client or the industry. In 2018, you shouldn’t still be referring to data from 2011 when data from 2015 or 2017 may now be available. Don’t be lazy; regularly check and update your list of resources to make sure you’re providing the most value to your client’s audience. 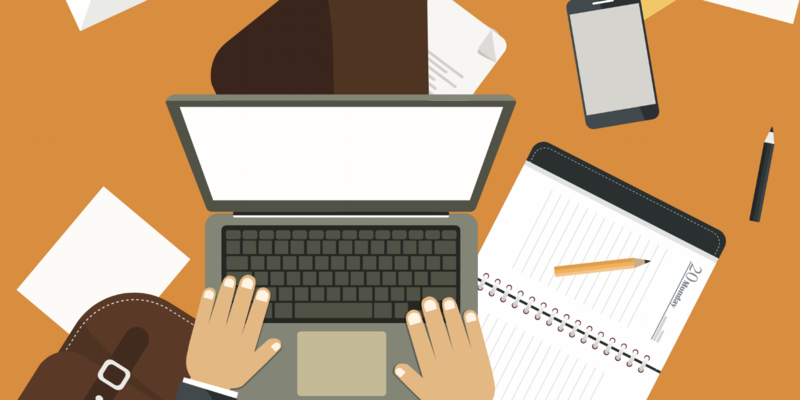 When you’re pumping out content, it may be easy to find yourself becoming disorganized. Remembering what you did yesterday can be a challenge, let alone trying to remember what you did last week or even two months ago! Keep a daily spreadsheet or even a Google Doc with a list of the different projects you accomplished. If you want to get fancy, you can even provide a link to the content if you’re like me and like to use Google Docs to easily share your content draft with colleagues for review and client approval. Thankfully, one of my colleagues put together a helpful resource guide for staying organized that can provide some ideas for organization. Although her job as an Inbound Marketing Consultant (IMC) is different from that of a copywriter, many of the same organizational principles still apply. The same concept applies to writing blog posts, eBooks, infographics, and other content. Thinking back to your client’s buyer personas, consider what that idealized person would be looking for in your content. What pain points or challenges are they trying to address? Why should they care about your content? Make sure that your content addresses these concerns while also being interesting and insightful enough to keep their attention. Thinking back to the aforementioned buyer personas, your content needs to speak to them personally. 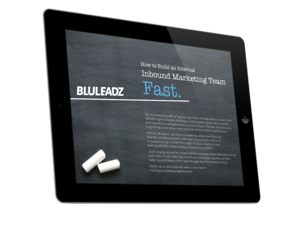 And, according to inbound marketing principles, it also needs to tailored to meet their informational needs wherever they are in the buyer’s journey. This means knowing whether they are in the awareness, considerations, or decision stage of their journey. In traditional marketing, this relates to knowing whether your content aims to target prospective clients in the sales funnel who are at the top of the funnel (TOFU), middle of the funnel (MOFU), or bottom of the funnel (BOFU). Inbound marketing flips this approach on its head by instead looking at the process from the buyer’s side instead of your marketing client’s perspective. Once you decide how to approach the content, you’ll also need to figure out the best way to write it. How are the buyer personas accessing or reading your content? Considering that the majority of people are using smartphones, tablets, and other mobile devices to access the web, that means your content also needs to be suitable for those small screen formats. Bullet points or numbered lists. You can write the best, most awesome content. But, if it’s riddled with grammar, punctuation, and spelling errors, no one is going to take it seriously (nor should they!). Use the spell-check feature in Microsoft Word. Run your content through Grammarly. And, be sure to take a step back and carefully re-read what you’ve written, word for word, to see if you can spot anything out of place. These steps can help to minimize any errors. A final way to ensure your content has no glaring errors is to ask a colleague to read your content to make sure there isn’t anything you’ve missed. After all, even the best writers still had editors for a reason! And, it never hurts to have an extra set of eyes reviewing your content. At Bluleadz, all content is reviewed internally by another content writer and those reviews are then reviewed and accepted by a third person before being sent to a client for review. I hope these content writing tips will come in handy in helping you to address some of the challenges that arise when creating content for new clients. While it may not help you become a super agent, it certainly can help you become a more efficient content writer. 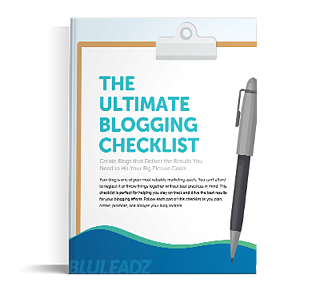 Want to Write Even More Successful Blogging Content?